The Gilstone as seen from the surface. In 1707 Admiral Sir Cloudesley Shovell was returning to England from the Mediterranean with his fleet of 21 ships, when disaster struck. 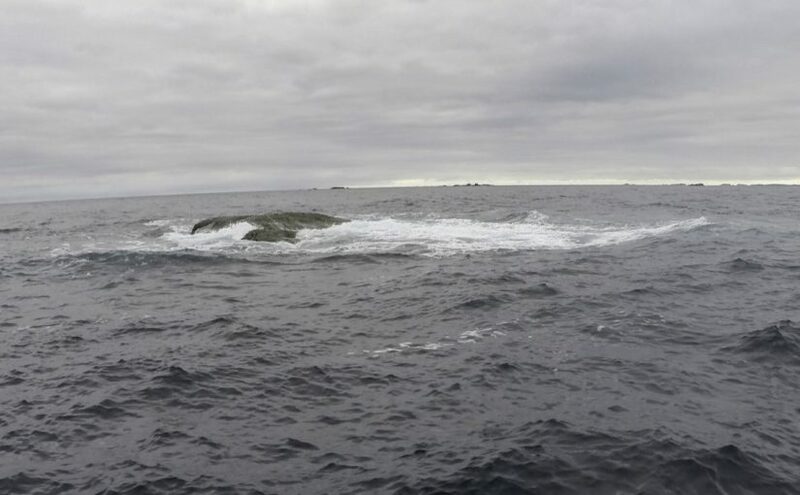 They had miscalculated their position and ran onto the Western Rocks in Scilly on the night of 22nd October. Three ships, Eagle, Romney and Sir Cloudesley’s flagship Association, were lost – with only a single survivor (from the Romney). The fireship Phoenix struck a rock and was eventually beached at New Grimsby (Tresco), where she remained for three and a half months undergoing repairs. Another fireship — the Firebrand – also struck the rocks but managed to get off again. Leaking badly, she made for the beacon of St Agnes lighthouse, but foundered in Smith Sound close to the island. Of Firebrand’s complement of 50 crew members, 25 — including Captain Percy — managed to reach the safety of St Agnes. About 1400 men perished in this incident, making it one of the worst disasters in British naval history. It was probably these events that led to the Longitude Act of 1714. Sir Cloudesley Shovell’s body was washed up on St Mary’s and was eventually taken to London for burial in Westminster Abbey. There are several local legends relating to the theft of rings and other items from his body. The Association was Sir Cloudesley Shovell’s flagship. It was a 90-gun second-rate English warship of 165 feet (50m) length, built at Portsmouth in 1697. The Association had a crew of about 680 under her captain, Edward Loades. The remains of the Association were discovered near the Gilstone Ledge by the Naval Air Command – Sub Aqua Club (NAC – SAC) in July 1967. Subsequently, a number of other groups worked on the site including a team led by Roland Morris and Blue Seas Divers. From about 1971 the site was buoyed and worked by Terry Hiron and Jim Heslin. A detailed plan of the site has been produced by Terry Hiron. Many objects were raised from the site, including three bronze cannon, anchors, swivel guns, dividers, buckles, buttons, spoons, forks, rings, pocket watches, combs and large quantities of gold and silver coin. Situated around the Gilstone Ledges in the Western Rocks, the site varies in depth between 5 and 40m and is located in deep rock gullies with large boulders. CISMAS volunteer Brendon Rowe. 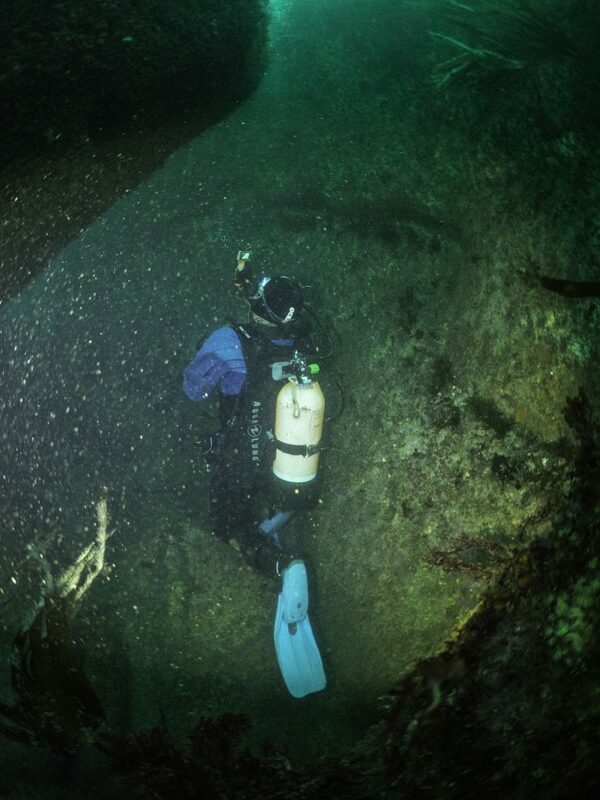 This picture gives you some idea of deep rock gulleys in which most of the wreck remains now lie. 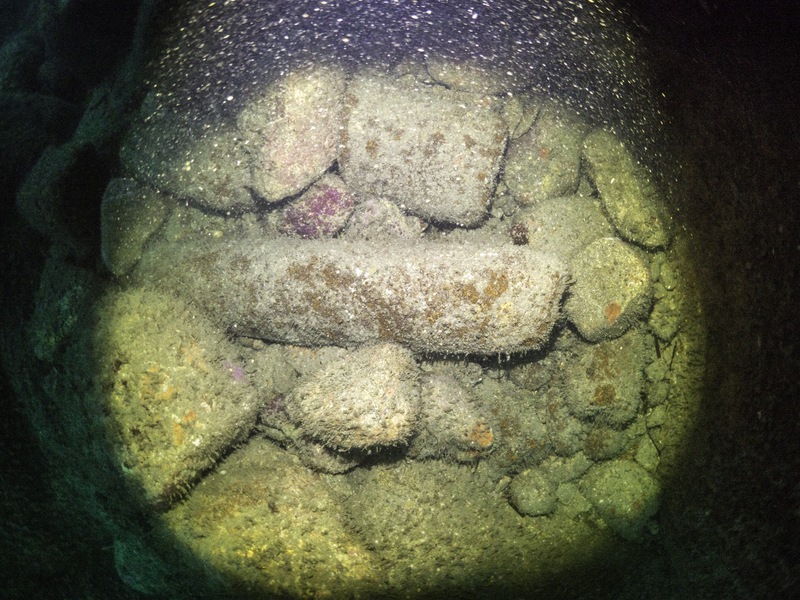 There are over 60 iron guns, anchors and a number of iron concretions including iron shot. 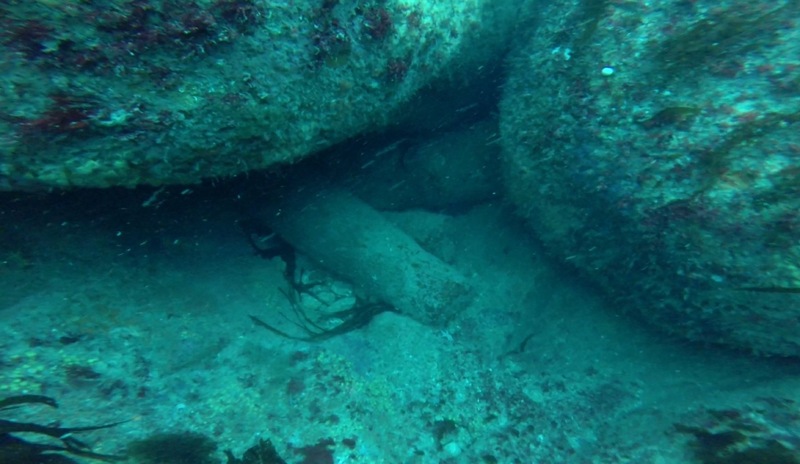 Some guns and at least one anchor have been removed from the site. Public access to the site is achieved by licence under the Protection of Wrecks Act. This licensing is currently administered by Historic England. 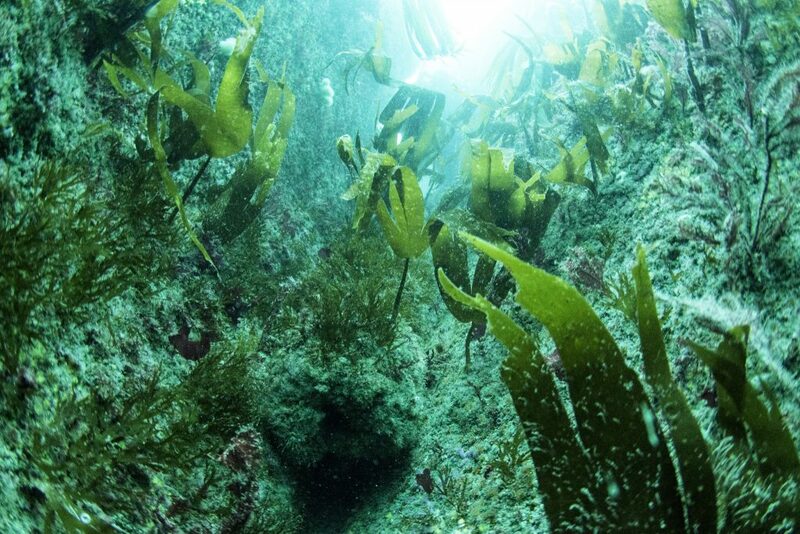 The three dive charter boats operating in Scilly have annual licences to visit the protected wreck sites. 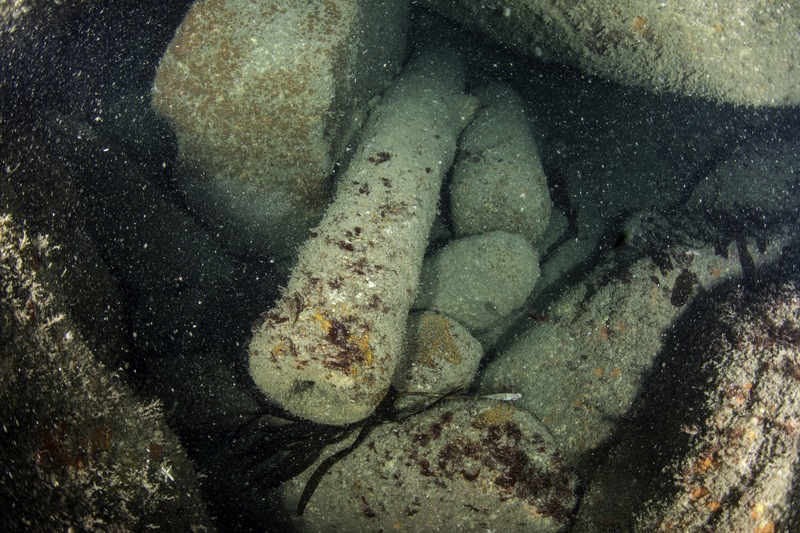 All that remains visible of the Association on the seabed today are the iron objects: cannons, anchors and round shot. These are to be seen in rock gulleys such as you can see here. Most of the artefacts and coinage were sold at a series of public auctions; one bronze cannon can be seen on Tresco in the Valhalla Collection, while another is on display at the Royal Armouries in Leeds. There are also a few items in the Isles of Scilly Museum on St Mary’s. 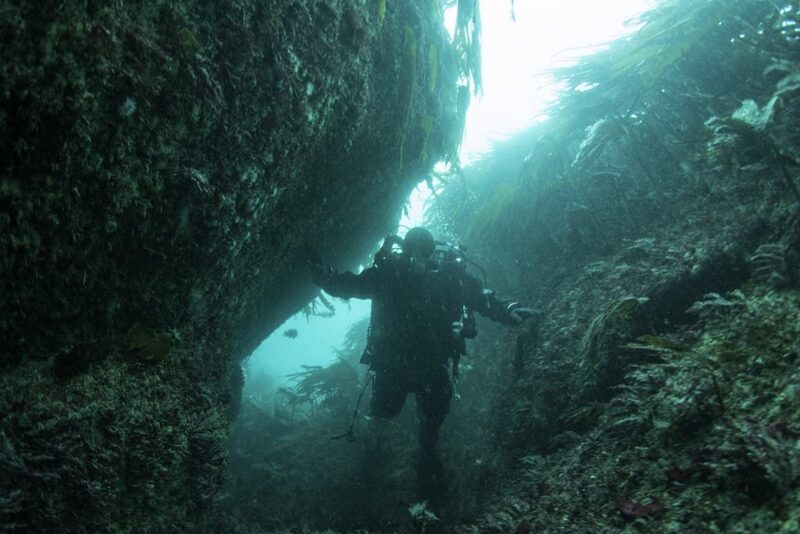 Diving in the deep gulleys with an underwater video camera. This picture gives you some idea of deep rock gulleys in which most of the wreck remains now lie. If you would like to find out more, view the Historic England list entry for Association.